Terrace is a natural and cultural experience settled in the majestic Coast Mountains in the beautiful northwest region of BC, known throughout the world for spectacular fishing and breathtaking scenery. The Terrace region is the home of the legendary Kermode (ker-moh-dee) Bear, also known as the Spirit or Ghost Bear. Numbering around 400, the Kermode is an otherwise ordinary black bear which carries a recessive gene resulting in white fur in one out of every ten bears. The elusive Kermode is unique to the ancient rainforest of Northwest BC; there are no specified viewing areas. In the mythology of the Tsimshian, Raven created the Ghost Bear: long ago when the world was still covered in ice and snow, Raven came down from heaven and turned the world green as it is today. But as a reminder of the time when all was white, Raven went among the bears and turned every tenth one the color of snow. Raven decreed that the Spirit Bear, which the Tsimshian call Moksgm’ol, would live forever in peace. 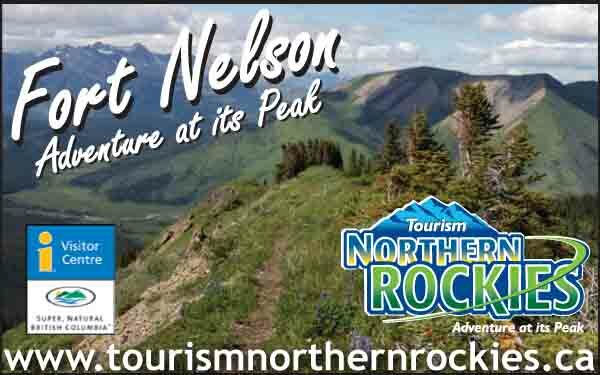 Situated on air, rail and bus routes, Terrace is on the Yellowhead Highway 16 and Highway 37 south to Kitimat. Accessibility to both nature and other nearby communities makes this city the entrance point to a myriad of activities and visual pleasures. From here, experiences unmatched anywhere are well within an easy single day-return driving distance. Terrace serves as the junction for the Nisga’a Highway leading to the Nass Valley and Nisga’a Memorial Lava Bed Provincial Park. The Coast Mountains were formed by volcanic action and Canada’s youngest lava flow lies within the park. Visitors also learn more of the Nisga’a cultural heritage as well as the history of British Columbia’s volcanic landscape. First Nations have inhabited the region for over 10,000 years, making it one of the oldest continuously occupied areas of the world. Terrace has a rich history, with stories of riverboats, the railway, pioneers, an army mutiny and much more. 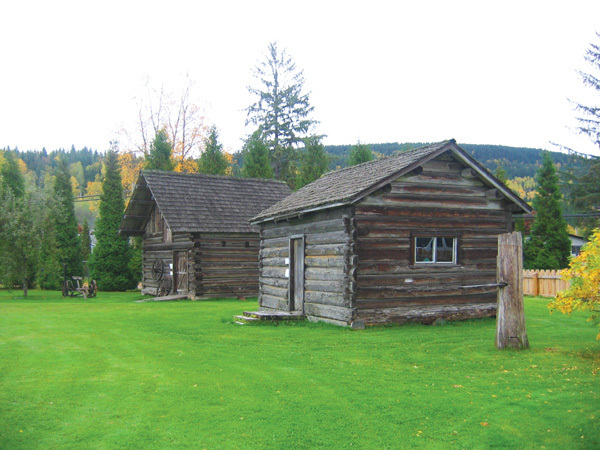 Logging was the major industry for decades, but in recent years the economy has diversified making Terrace northwest BC’s center of supply and services, quality accommodations and retail activity. Terrace is known worldwide as a premier freshwater fishing destination. Record catches are made here, as in the summer of 2001 when a record 99 lb. salmon was caught in the local waters of the Skeena River. Opportunities for freshwater and saltwater fishing exist year-round, with a spectrum of fishing styles offered, from drift boats to charter fly-in service to remote lakes. Whether fisherman, hiker, climber, naturalist, camper or skier, the area offers a unique opportunity to enjoy nature and a favorite recreational pursuit. Depending on the season, you can hike, bike, canoe, rock climb, ski and more. There are a variety of accessible trails to explore the area’s pristine environment, while Shames Mountain, just 35 kilometers west of Terrace, boasts more snow than any other lift-served downhill ski area in North America! In the heart of downtown are dozens of shops, many fine restaurants and relaxing cafes to enjoy on a stroll down the quaint main street. Hidden in the web of trails on Ferry Island, a local carver’s intriguing faces peer down from craggy tree bark, in a wonderful display of public art. 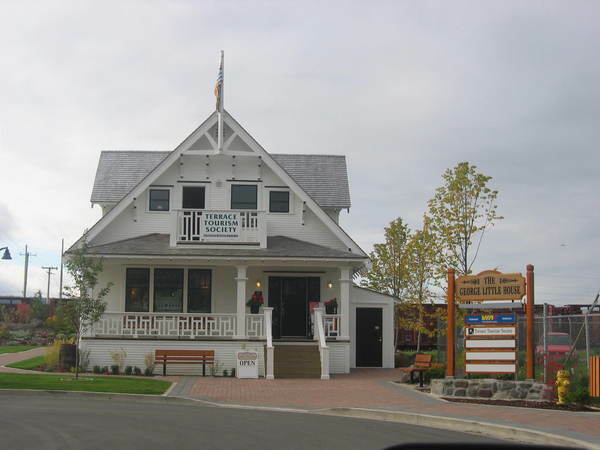 A must see for those visiting Terrace, the Heritage Park Museum is a village of original log buildings depicting the lifestyles of the pioneers of the region as well as different styles of log building construction. 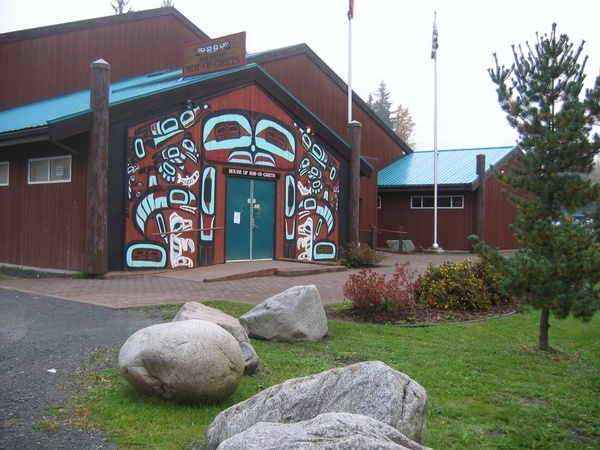 Located 3 miles west of Terrace, the House of Sim-oi-Ghets (or House of Chiefs) offers authentic First Nations arts and crafts in a beautiful, traditional long house type building. 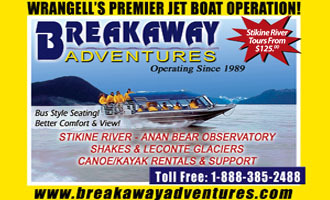 SPECIAL EVENTS Riverboat Days: BC Days weekend (first long weekend in August). Family oriented activities include fireworks, parade, barbecues, sporting tournaments, cultural events and more. Riverboat Days is expanding to include the week between the BC Days weekend and the following weekend which hosts the Riverside Music Festival. Skeena Valley Fall Fair: Held the last weekend in August, the Fall Fair celebrates with events such as logger’s sports, pancake breakfasts, horse pulls, pet shows and children’s activities. Music in the Mountains: Experience music surrounded by the beauty of Shames Mountain. Normally hosted around mid-March, this outdoor event brings people from all over to enjoy this unique musical experience. Terrace Farmers Market: This market is held every Saturday from may through October. A large selection of fresh produce, ethnic foods and picnic fare, along with local arts and crafts can be found at this popular event.